Vowing to overcome the sin of seriousness, Indiana-born humorist Don Herold lived up to his promise. Gifted with a droll sense of humor and a vivid imagination, he was one of the most widely read, if least remembered, Hoosiers. 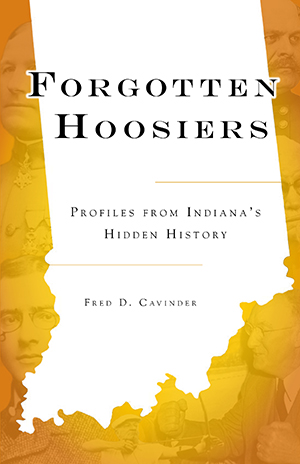 In Forgotten Hoosiers, journalist Fred D. Cavinder presents a collection of biographical sketches charting the lives of noteworthy Hoosiers who have been overlooked, as well as acclaimed figures whose Hoosier origins have been obscured. From Harland David Sanders, the pioneering Kentucky colonel who developed the world-famous chicken franchise, to Samuel G. Woodfill, whom many have called the greatest hero of World War I, Hoosiers- both known and unknown- have continued to make their marks across the country and the world. Fred D. Cavinder has written seven books on Indiana topics since 1985. He is retired after thirty-seven years as a reporter, editor and feature writer for the Indianapolis Star newspaper, including sixteen years as editor of the paper's Sunday magazine supplement. A 1953 graduate of Indiana University, he has since that time written and taken photographs for numerous regional, state and international publications.